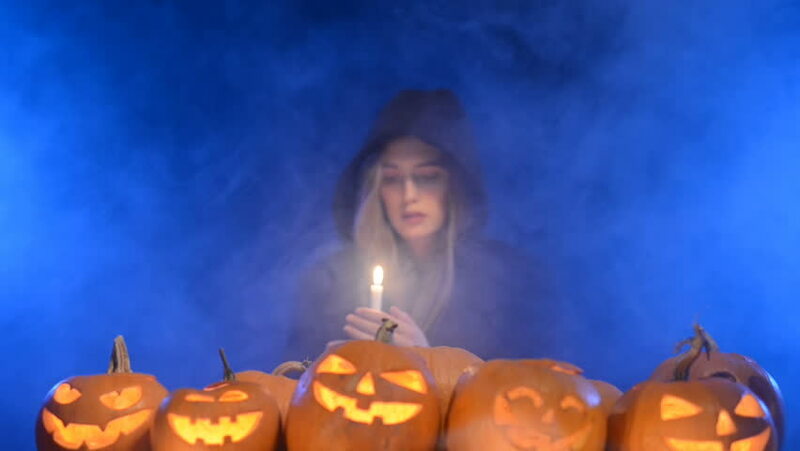 hd00:23This is a shot of a group of carved Halloween pumpkins with candle lit placed in a row and decorated by tree branches on blue background and black cat in white cloth wandering around. hd00:10This is a static shot of a group of carved Halloween pumpkins with candle lit standing in a row with tree branch as a decoration on blue wall background. hd00:19Composition of illuminated pumpkins with bats flying over on blue background. hd00:30Composition of illuminated pumpkins and branches,black cat is moving behind them.